The Air Jordan 11 is considered by many the best of the Air Jordan signature line. Zoom Air and Carbon Fiber provide the performance specs while patent leather, mesh, and a translucent sole make for a trademark look. 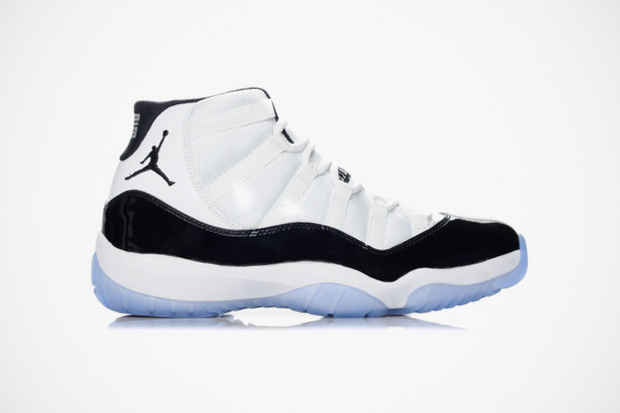 Michael Jordan first wore the Air Jordan 11 "Concord" in the 1994-95 Playoffs, his first season back from baseball and retirement. Jordan was fined for wearing a white shoe when his teammates wore black sneakers and quickly changed to the Air Jordan 11 "Space Jam". He would later wear the "Space Jam" colorway in the movie Space Jam and then wear the "Concord" and "Black/Red" colorways throughout the 1995-96 season. April of 1995 saw the release of the Air Jordan 11. 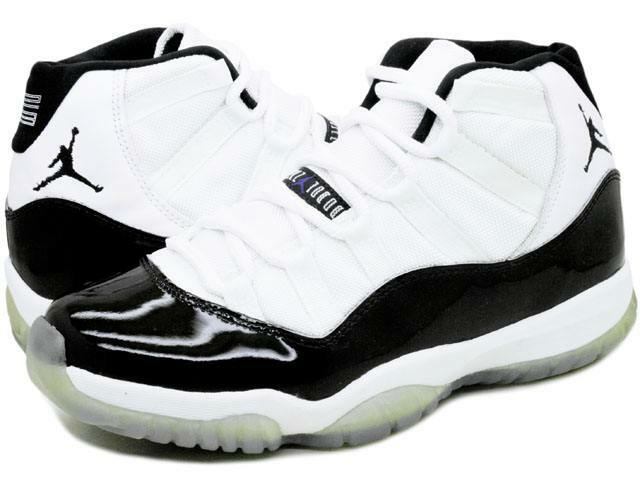 The "Black/Red", "Concord", and "Columbia" colorways were released over the course of the season as were two low top makeups. In 2000 Jordan Brand would release the "Space Jam" colorway and follow up with the three original colorways over 2001. A "Cool Grey" colorway would also release and become one of the most popular releases. Jordan Brand continues to bring back the Air Jordan 11 over the years generally releasing during the holiday season.